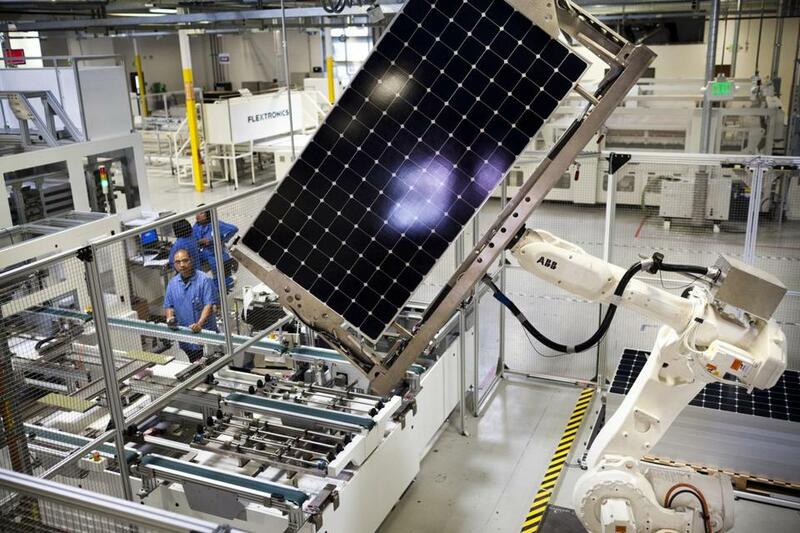 A robot stacked solar panels at a Flextronics factory in Milpitas, Calif. The company opened the Flex Boston Innovation Center in November. The relatively strong job and wage growth in the country belies the reality that quality jobs are disappearing for lower-skilled workers, particularly blue-collar workers. While trade is partially the culprit, it is more likely that automation has been the main cause of job loss. Some estimates have suggested that up to half of current jobs could be replaced by automation in the future, including many white-collar jobs. Artificial intelligence experts warn that whatever our estimates today, the impact will be much greater than we can imagine. Massachusetts is not immune to these concerns, despite its strong economy and all-time low unemployment rate. However, this hides the increasing number of long-term unemployed, 8.2 percent (compared to 9.7 percent nationally), the highest rate in more than 20 years. Those with less education and skills experience unemployment rates two to three times higher than the state average. To find a possible path forward, the country and region need to look toward advanced manufacturing. Advanced manufacturing, which combines new information technology with advanced machinery, is reinvigorating manufacturing and creating opportunities in the United States that did not seem feasible just over a decade ago. We see examples of this in Massachusetts, where firms are investing in new manufacturing facilities even in this high-wage, high-cost region. Why? First, electronics manufacturing. What has historically been based in Asia, is showing up in Massachusetts to be near talent and the “innovation ecosystem.” Prodrive Technologies, a Dutch company, announced last year that it would open its first US facility in Massachusetts in 2018. Prodrive provides state-of-the-art subsystems that build on its robotics and software capabilities. What was rare in the past — making printed electronic circuit boards in Massachusetts — is more feasible given advanced technologies. Prodrive will initially invest $50 million and hire 150 workers. MIT’s new startup support accelerator, The Engine, is intended to close the gap between transformative new-science innovations and the long trek to the marketplace. Second, biopharmaceuticals. As the industry has matured, commercial-scale manufacturing has shifted to new locations abroad to take advantage of tax breaks and new markets. However, for novel therapeutics, offshoring production is often less attractive than having the flexibility and control that comes with production near headquarters. Last year, two biotech companies, Alnylam and Moderna, announced they will invest, collectively, $300 million to build new facilities to produce drugs for both clinical and commercial production. Combined, the companies will initially hire an additional 250 workers. Finally, clean energy. This region is one of the most dynamic in the world for inventing new clean-energy technologies but the challenge has been scaling them, due to their capital-intensive nature and long development time. However, today, scale-up in some areas of clean energy is becoming more feasible and investments are being made in commercial production — for example, in electric vehicle batteries. What do these three industry cases tell us? Creating manufacturing jobs will most likely not be about “bringing jobs back.” These manufacturing investments are born of new technologies from innovative companies, all founded 15 years ago or less. This is the lifeblood of the region and suggests more sound economics for creating jobs than threatening US companies with import taxes and tariffs for manufacturing abroad. Second, these examples suggest that some downstream commercial production is feasible here. The United States excels in innovation and startups; we can also excel at scale-up for certain industries. Automation makes this possible, as does the changing cost equation that makes the United States more competitive. Third, behind all of these location decisions lies talent. Two-thirds of the initial 450 jobs represented by these companies will be for employees with a bachelor’s degree or higher. Importantly, one-third of the jobs will be accessible to employees with less than a four-year degree. While this does not equal the large numbers of jobs that have been displaced, it represents a set of high-quality, good-paying jobs that provide career ladders. Across the board, executives at these companies emphasize thatmore important than a worker’s school degree is their mindset. Are they flexible, curious, tech-savvy, and willing to engage in continuous learning? This, perhaps, should be the cornerstone of our strategy going forward: to create an environment that supports the workforce in embracing and adapting to the digital workplace. Programs that introduce computer science skills in K-12 are critical building blocks, as are training efforts at our vocational and community colleges. Increasing the state’s innovation capacity both for startup and scale-up is also important. The Baker administration is taking steps in this direction with significant investments in a set of new Manufacturing Innovation Institutes — public-private partnerships established to increase the country’s advanced manufacturing capabilities. Massachusetts universities are partners or leaders in nine of the 14 institutes. 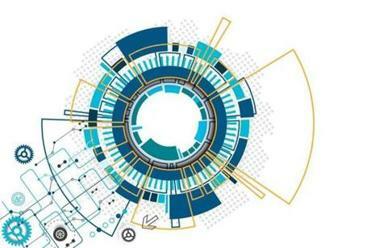 While advanced manufacturing will not answer all of the challenges posed by technology’s impact on the future of work in the region, it is one pathway forward that we need to embrace. Elisabeth B. Reynolds is executive director of the MIT Industrial Performance Center and a lecturer at MIT’s Department of Urban Studies and Planning.